Almost every parent can relate to the feeling of being worried about the online activities of their kids. Irritated and agitated because they spend a huge portion of their day being busy with their cell phones. These worries are expected and natural, but they can be solved. Yes, there is no need to be worried anymore because you can also adapt a method that is implemented by many smart parents who now spend their day stress-free. Smart parents can keep an eye on the activities of their children distantly. We are living in an era of technological progression which means we can also avail digital or high-tech solutions for our problems. Before you get any more anxious due to your kid’s online activities, choose the FamilyTime parental monitoring app and make your life easy. Just to make you realize how beneficial FamilyTime parental monitoring app is for both parents and kids, we have gathered a list. The major benefit of using the FamilyTime parental monitoring app is that it keeps you connected with your kids and their activities, even if you are out of town for a work-related meeting. Even if your kids are not at home, you can stay informed about what kind of content they are searching on the internet. You can also monitor the text messages of your children using SMS tracking feature, offered by advanced parental apps. This helps you protect your children to get targeted of cyberbullying and also to be aware if your own child is involved in bullying other kids or sending them hate speech. Parental control apps help parents averting the chances of sexting to a gigantic extent. You can have a virtual connection with your kids by using these digital apps. 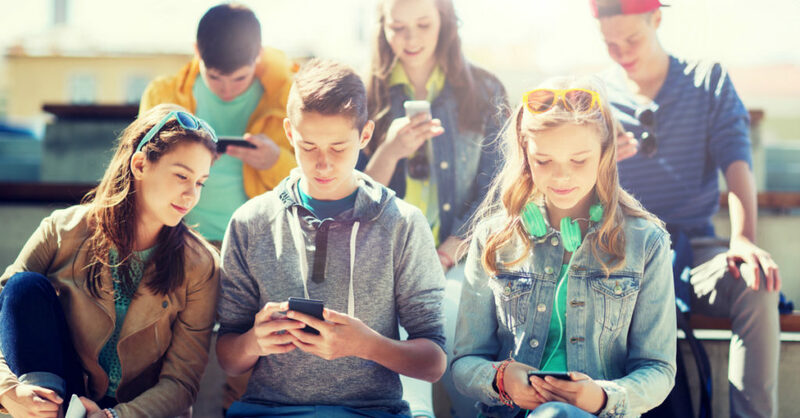 With the help of these parental apps, you can track their whereabouts using the teen locator feature and can make sure they are at a safe place. You can track your kids anytime once you make an account on FamilyTime and install the app. It allows you to mark specific locations as safe and Geo-fence certain locations. It is proficient enough to send instant alerts to parents in case their kids attempt to go to an unwanted dangerous place. You don’t have to be a ‘helicopter parent’ or a ‘bad cop’ to control your kids anymore, instead, you can do so smartly and sensibly because of the absolutely considerate features of the FamilyTime parental control app. The safety of your kids is most important. FamilyTime is safe and secure to use. It is extremely vigilant about the security of your child’s information. FamilyTime helps parents in tracking the activities of their children, but all the information is only for the good use of parents. It assures 100% confidentiality about your child’s data. Even the support staff working for FamilyTime cannot access or view your child’s data. There are bundles of other benefits too that you can explore yourself by giving this app a free try. The trial version of the app can be downloaded from the app stores such as Google Play, and iTunes. With the trial version, you can get access to all FamilyTime’s premium features for complete 3 days.